Non-Profit 501(c)3 Animal Rescue based out of Pennysylvania! Thank you so much for your interest in fostering a dog from Two Ladies Four Paws. By opening up your home to foster pets, you’re not only helping to save lives, you’re providing the individual attention and love these dogs desperately need to help them prepare for their forever homes! Many of the dogs who need foster homes require extra care and attention. Most that come to us are very scared, nervous and un-trusting of us. Especially those who have come from a bad past. Fostering is a very big commitment. While fostering, all we ask you to provide is a healthy, safe and loving home with socialization, exercise and positive stimulation to help them develop into great dogs! We take care of all vet visits and any other financial needs, as well as transportation to and from the vet/meet and greets. Although fostering is a lot of work, it is a very rewarding experience. By participating in our foster program, you are saving lives and helping many different types of dogs find the families they’ve been longing for. Through fostering, we can work together to save them all! How much time do I need to spend with a foster dog? As much time as you can. With that said, the amount of time will vary depending on the energy level and needs of the dog you are fostering. It is ideal to spend around two hours a day exercising and playing with your foster dog to ensure that he or she receives adequate socialization and stimulation. Can I foster dogs even if I have a full-time job? Yes. The foster application is designed to help us match you with the best dog for your needs and your current schedule. If you have a full-time job, we will match you with a dog who may be OK alone during the workday. You would then just need to provide ample exercise before or after you go to work. Can I foster a dog if I don’t have a fenced yard? Yes. Even if you do have a fenced yard, we request that you supervise all outdoor activities with the foster dog. And we ask that you always keep him or her on a leash when you’re on walks. How long will the dog need to be in foster care? Ideally, foster dogs stay in their assigned foster homes until they get adopted. What if I want to adopt my foster dog? If you want to adopt a foster dog, you will need to complete an adoption application and follow the full adoption process. If you do decide to adopt your foster dog, please contact the us right away because once the dog is up for adoption, we cannot hold him/her for anyone. What if my foster dog bites me? If any of your foster pets bite you and break skin, causing you to bleed, you need to report the bite to us within 24 hours of when the bite occurred. The law requires that we report all bites. The teeth of the animal, not the nails, must have broken the skin. If you are unsure, then please report the bite anyway and send us a photo as well if possible. What if my foster dog is not working out? You are not required to continue to foster a dog if you feel it’s not working out. However, we may not have an immediate alternate foster home for the dog. We do not have a boarding facility, we solely rely on foster homes. We will work on moving your foster dog out as soon as possible, but ask for your understanding and patience. When you take your foster dog home, they may be frightened or unsure about what’s happening, so it’s important not to overwhelm them. Prepare a special area for the foster dog to help ease his adjustment into a new home environment. Sometimes it is better to confine the foster dog to a small room or area at first, to let him adjust before giving him free rein in your home. This area should be large enough for an appropriately sized crate for the dog and should allow the dog access to his food and water dishes and toys. During the first couple of weeks, minimize the people and pet introductions to your foster dog, so that she is only meeting immediate family and your personal pets. If you have other pets at home, it is especially important to give your foster dog a space of her own where she can stay while getting used to all the new sounds and smells. Don’t leave your foster dog unattended in your home with your personal pets until you are comfortable that all of the animals can interact safely. Most foster dogs come from a shelter environment, and even if they have previously lived in a home, we don’t always know how they will react in a new home. So, before bringing home a new foster dog, you’ll want to survey the area where you are going to keep your foster dog. Remove anything that would be unsafe or undesirable for the dog to chew on, and latch securely any cupboards and doors that the foster dog could get into. People food and chemicals can be very harmful if consumed by dogs, so please store them in a place that the foster dog cannot access. If you have personal pets who are dogs, you’ll want to introduce them to your foster dog one at a time and supervise their interactions at first. It’s a good idea to introduce them outside in a large yard, keeping all the dogs on a leash and allowing them enough space to get adjusted to one another. Make sure that high-value items (food, chew toys, plush toys, Kongs, rawhides or anything else that your dogs hold in high regard) are put away whenever the dogs are interacting. You don’t want to allow the possibility of a fight. Those high-value items are best placed in the dogs’ personal areas. Finally, never feed your dogs in the same room as the foster dog; always separate them at feeding time. We can’t ensure that a foster dog has been “cat-tested,” so if you have personal pets who are cats, you’ll need to make the introduction to the foster dog carefully and safely. Start by keeping them separated at first. You can either keep your cats in a separate room (equipped with food, water, litter boxes and beds) or confine your foster dog to a room. Over a one- to two-week period, let the dog and cats smell each other through the door, but don’t allow them contact with one another. Exchanging blankets or towels between the dog’s area and the cats’ area will help them get used to each other’s smells. After a week or two, do the face-to-face introduction. Keeping your foster dog on leash, allow your cat out in the same area. (If you have more than one cat, introduce one cat at a time.) Do not allow the foster dog to charge or run directly up to the cat. Try to distract the dog as best you can so that the cat has the chance to approach without fear. Watch the body language of each animal closely and don’t continue the interaction if either pet becomes over-stimulated or aggressive. The idea is to keep the interactions positive, safe and controlled. Never leave your foster dog unsupervised with any cats in your home until they are both 100% okay with one another. Always leave the foster dog alone when he/she is eating, chewing or sleeping. Some dogs may nip or bite if bothered while eating or startled while sleeping. Do not take away a toy or prized possession from the foster dog. Do not tease the foster dog. Don’t chase the foster dog around the house or run quickly around the foster dog; it may scare him. Pick up all your toys. Some dogs may not be able to tell the difference between what is theirs and what belongs to the kids. Do not allow young children to walk the foster dog because they may not be strong enough or experienced enough to handle encounters with other dogs or cats who cross their path. When you first take your foster dog home, take care not to overwhelm her with too many new experiences all at once. Sometimes, too much stimulation can cause a dog to behave unexpectedly toward a person or animal, which is why it’s a good idea to keep introductions to a minimum during the first couple of weeks after you bring your foster dog home. It’s also important to establish a daily routine of regularly scheduled feedings, potty breaks and walk times. Dogs take comfort in having a routine they can count on. It’s unlikely that your foster dog will be perfectly house-trained when you take him or her home. Most of the dogs in the foster program have lived in a shelter for a while, often with minimal walks or chances to relieve themselves outside. At the very least, be prepared for an adjustment period until your foster dog gets used to your schedule. Because a dog has a better chance of being adopted if they are house-trained, please help your foster dog to perfect this skill. Take your foster dog outside to go potty multiple times per day (3-6 times daily, depending on age). Initially, you may need to take them out more frequently to remind them where the door to the outside is and to reassure them that you will take him or her out for potty breaks. Most dogs will give cues — such as standing near the door or sniffing the ground and walking in small circles — to indicate that they need to go out. If your foster dog has an accident inside the house, don’t discipline or punish them. It will only teach him or her to fear and mistrust you. Clean up all accidents with an enzymatic cleaner. Nature’s Miracle and Simple Solution are two products containing natural enzymes that tackle tough stains and odors and remove them permanently. Crate training, done in a positive way, can be an effective component of house-training. A crate can be a safe place for your foster dog to have “down time” and can also limit his access to the entire house until he knows the rules. A crate should never be used as a form of punishment and a dog should never be left in a crate for an extended period of time. You can prevent problems with crate training by setting your foster dog up for success. He should only associate good things with the crate, so start by putting treats and/or toys in the crate and encouraging him to go in. Some dogs warm up to the crate slowly. If he is afraid to go in, place a treat in the crate as far as he is willing to go. After he takes the treat, place another treat a little farther back in the crate. Keep going until he is eating treats at the very back, then feed him his next meal in the crate with the door open, so that he can walk in and out at will. Crate training a fearful dog can take days, so be patient and encouraging. If a crate is properly introduced and used, your foster dog will happily enter and settle down. One of your goals as a foster parent is to help prepare your foster dog for living successfully in a home. So, we ask that you help your foster dog to develop good habits and skills through the use of positive reinforcement training, which builds a bond of trust between you and your foster pet. The basic idea is to reward desirable behaviors and ignore unwanted behaviors. You must not punish a dog for a behavior that you find undesirable because punishment is ineffective at eliminating the behavior. If the dog is doing something undesirable, distract him or her before the behavior occurs. It is also important for every human in the foster home to stick to the rules established for your foster dogs, which will help them to learn faster. Some foster dogs will have behavioral issues, which we are aware of at the time of their rescue. Some of these behavior challenges are separation anxiety, destruction of property, fear issues or aggression toward other animals. We will only place dogs with behavioral issues with a person who feels comfortable working with the dog on his/her particular issues. We will provide that person with all the necessary information so that proper care and training can be given to the foster dog. 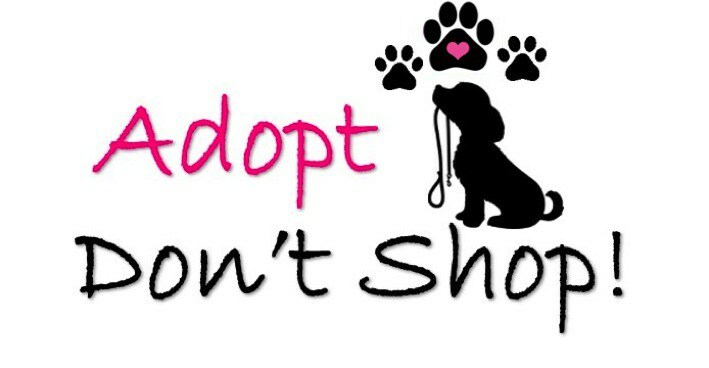 If you feel unable to manage any behavior that your foster dog is exhibiting, please contact us to discuss the issue. We will guide you and help in every way that we can. Please understand that we have limited resources, so for basic training and minor behavior problems, we will personally work with the dog. Thank you so much for opening up your heart and home to foster dogs!